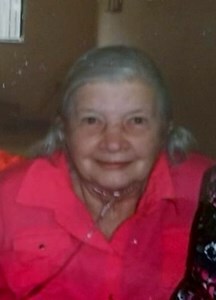 Ruth Louise King, 80, of Topeka passed away on Saturday, April 13, 2019 at the Topeka Center Nursing Home. She was the daughter of Joe and Mae Huffman. Ruth was born January 8, 1939, in Topeka and lived there her entire life. She worked in several departments for the State, including the water department. She was a member of First United Methodist Church where she sang in the choir and was very strong in her faith. She loved to work in the yard and was an Elvis Presley fan. Survivors include a daughter, Brenda (Mike) Allen; grand-daughter, Melissa (Malachi) Lones; and great-grandchildren; Alli, Caiden, and Lex. Her sister Jodi (Ron) Peterson also survives. Per Ruth’s request, no services are scheduled. Ruth will be missed by all of her family and friends. To leave a message for Ruth’s family online, please click the “Share Memories” button above. Add your memories to the guest book of Ruth King.